The Book Bindery in St.Germans, Cornwall, UK is run by master bookbinder Tom O’Reilly M.A. and his assistant. 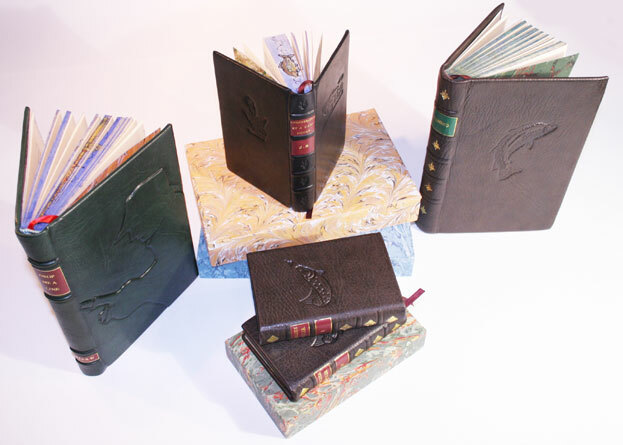 The bindery offers all manner of book art disciplines including traditional and contemporary bindings, book and document restoration, conservation and digitization, bespoke and artist’s books, thesis and dissertation binding, books for films, television and theatre, as well as a range of publishing options. 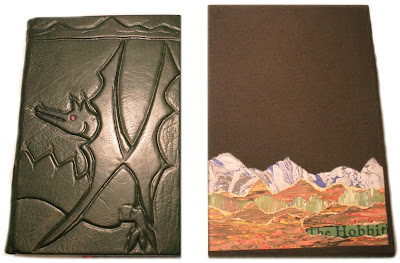 We also have various bespoke products for sale, and are delighted to take commissions for special bindings. Whether you want a unique book for a present or a business, a simple repair, or a complete leather bound library, we can bind it. We offer courses and workshops in a range of book arts including traditional and contemporary bookbinding, paper making, paper marbling, art and creative writing, as well as other crafts. We can bring many of our workshops to you. We have taught workshops at schools, colleges, libraries, universities, festivals, and many other venues. We would be delighted to bring one of our unique workshops to you. We also provide a bespoke service, and are happy to design a workshop to your requirements. Please contact us to find out more! "The beauty of bookbinding is abstract decorative beauty. It is not, in the first instance, a mode of expression for a man's soul. Indeed, the danger of all these lofty claims for handicraft is simply that they show a desire to give crafts the province and motive of arts such as poetry, painting and sculpture. Such province and such motive they have not got. Their aim is different. Between the arts that aim at annihilating their material and the arts that aim at glorifying it there is a wide gulf." This site's contents and imagery are copyright 2013 of Tom O'Reilly. The site was designed and coded by Stuart Welsh of Beliefspace Media and is based on the excellent Fluid 960 Grid System, created by Stephen Bau, which is based on the 960 Grid System by Nathan Smith.